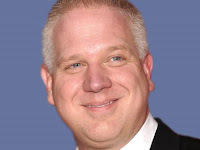 The following piece is republished here with permission of the author, Roger Fallihee who has extensively researched Glenn Beck's past. This was published October 27th under the title "Glenn Beck Reveals Past Lies on 'The Today Show.' "
Glenn Beck Reveals Past Lies on "The Today Show"
Glenn Beck, the former FOX TV host, appeared on the October 26, 2011 broadcast of NBC's Today Show to plug his new book titled "The Snow Angel." During the emotional interview with Today host Kathy Lee Gifford, Beck, without realizing it, revealed that he lied about the circumstances of his mother's drowning, in a 2003 interview with the Fort Wayne (IN) Journal Gazette. But the same year he started in radio, his alcoholic mother, Mary, left a suicide note by the family's crock pot and drowned herself in a bay near Tacoma. This was the first and possibly only time that Beck mentioned the presence of a suicide note. In future interviews, until today, Beck has insisted that Mary Beck’s death was a suicide even though he's only offered vague and convoluted details. Flash forward to today on Today. Beck: We never even talked about my mother’s suicide. She died when I was in my teens. Gifford: She drowned. Was it a suicide? Beck: I think we all avoided it because when you live in an alcoholic family or an abusive family you tiptoe and you don’t want to step on any mines. The jury’s still out? Glenn Beck is now not sure what happened to his mother? What about the suicide note next to the Crock Pot? A handwritten suicide note is prima facie evidence and it’s also not an insignificant bit of information that would slip Glenn Beck's mind. Beck didn’t forget to mention the suicide note. He forgot that he lied about the very existence of a suicide note. After all these years of accusing his devout Catholic mother of committing the ultimate sin of taking her own life, Beck today tacitly admitted that it was maybe all a lie. 1)  This is confirmed in a Salon piece by Alex Zaitchik, author of Common Nonsense: Glenn Beck and the Triumph of Ignorance.